Viva La Chihuahua Mexican Grill! Grilla Bar & Grill celebrates its 16th year this year with new additions to the menu. It is cool how the new food items represent different provinces of the Philippines. I knew right from the start that this was not your ordinary food tasting event. 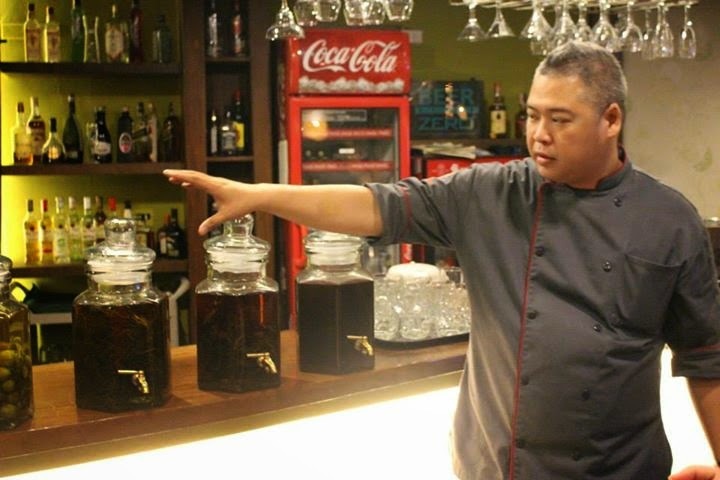 Chef Mike Canlas was on hand to present his signature concoctions. They were so good that I had one too many shots but don't worry I still got home in one piece. The flavors of the cocktails were Cinnamon, Rosemary, Tarragon, Calamansi and Dalandan. I have to say that I liked them all as it was hard to pick a favorite among the drinks. 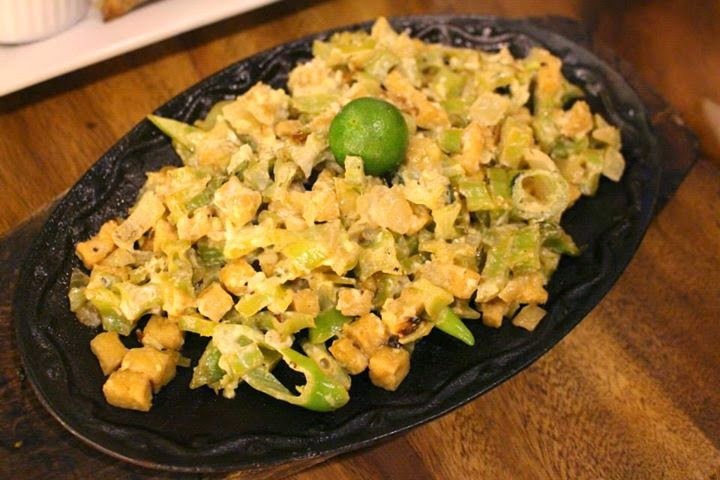 Vegetarians would love this type of sisig as it consists of tofu and sigarilyas instead of the usual meat. I loved it myself as it was a great way to kick off the evening. 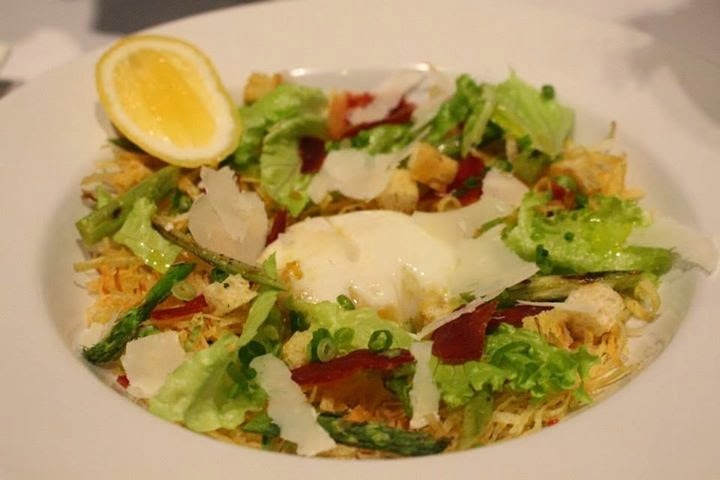 This dish was crunchy on the outside and tasty on the inside. You are not going to find out whether it is pork bbq or salted egg though until you bite it first but both of them are mighty good. 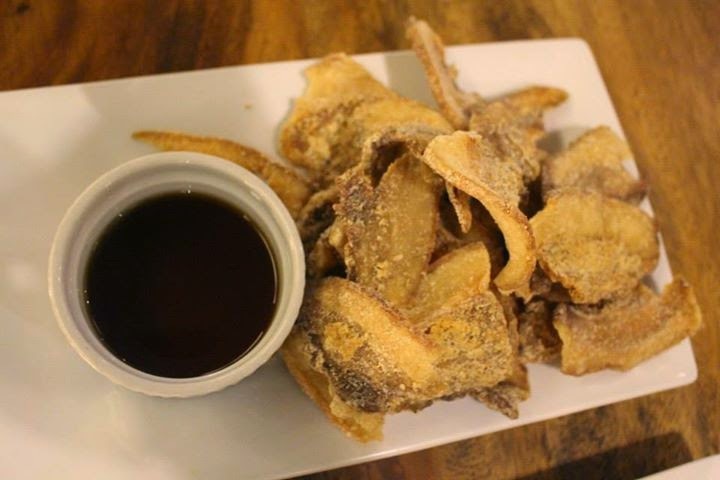 This one was really crunchy and that is what we love about chicharons. This dish was nicely cooked and the vegetables mixed in it were superb as well. This one is best served with two cups of rice and a glass of wine. This was my favorite dish out of all the dishes that was served. 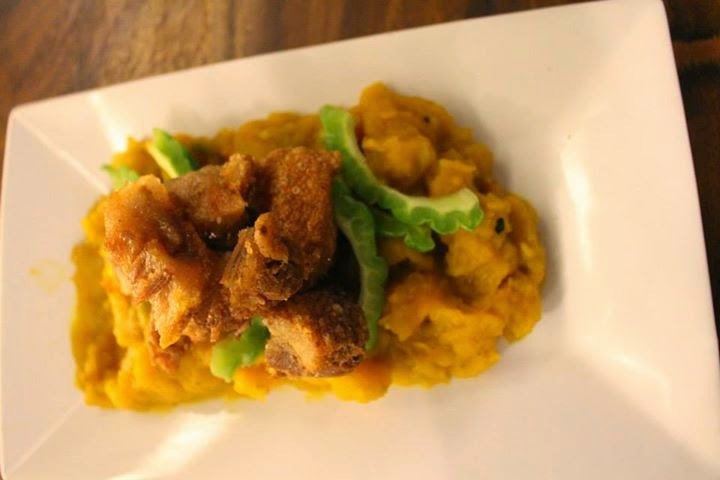 Part of the reason is because I am a sucker for squash and the combination with the liempo was just too hard to resist. I'm not really a fish lover but I saw that the other bloggers loved the tilapya. 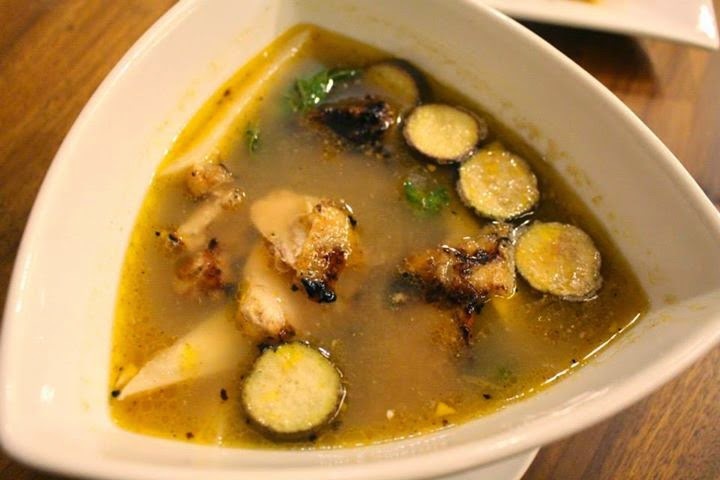 This one had that familiar sinigang taste. 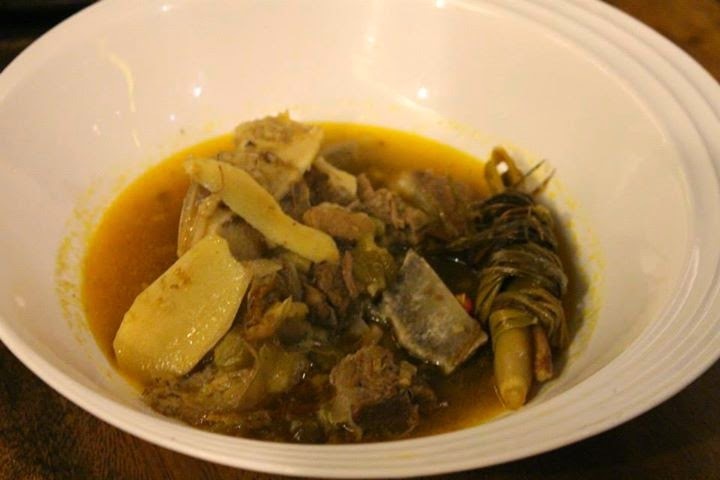 The Beef Kansi is perfect to eat during the rainy season. 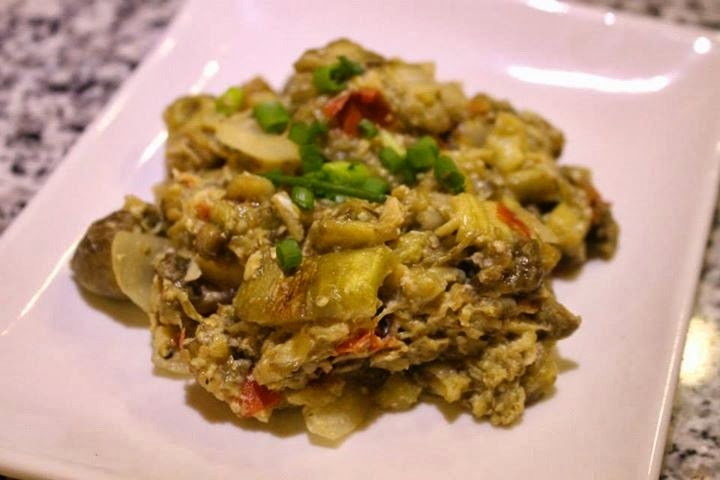 A name like that would get foodies curious as to what it is as it is that familiar tortang talong dish we have all grown to love. 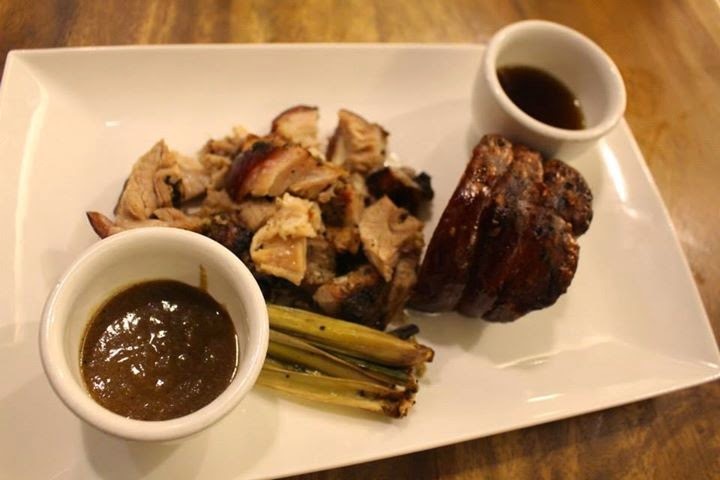 Cebu is the place in the whole world that has the best lechon so I had high expectations for this dish. It was a good thing it lived up to my expectations as this is a very tasty dish. 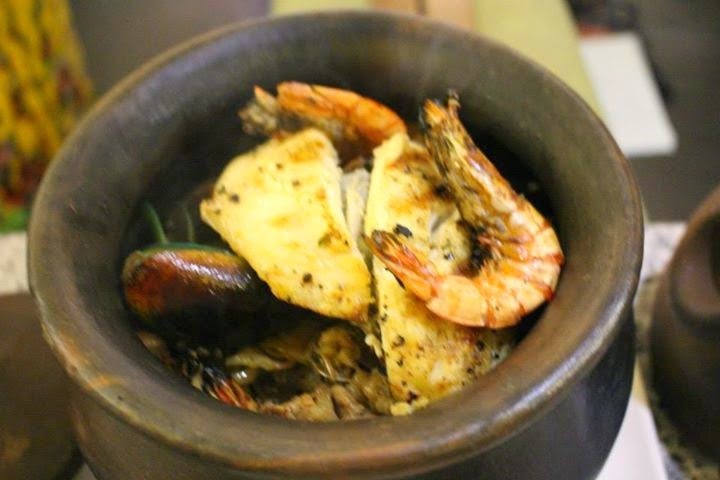 This hot stone palayok had a lot of ingredients in it including shrimp, clams and pork. I have to love all the food that was put in here as that explains its high price. This is good as a pulutan for long drinking sessions. 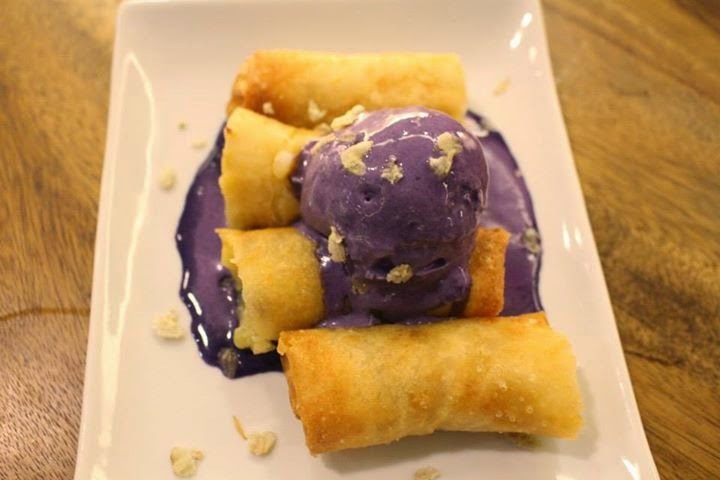 No meal will be complete without dessert and this one had Ube ice cream on top of banana and jackfruit wrapped in turon. It was the perfect ending to such a fun night spent with fellow bloggers. General Manager Lizzie Guerrero was on hand to thank us all for coming. It was great to finally meet the owners of Grilla. When dinner was over, we participated in a fun game of quiz night. I formed Team China along with Roch and Stacy and we all had our game faces on the entire time which was enough to intimidate the other teams. It was an epic blogger event that was 6 months in the making and it finally happened. 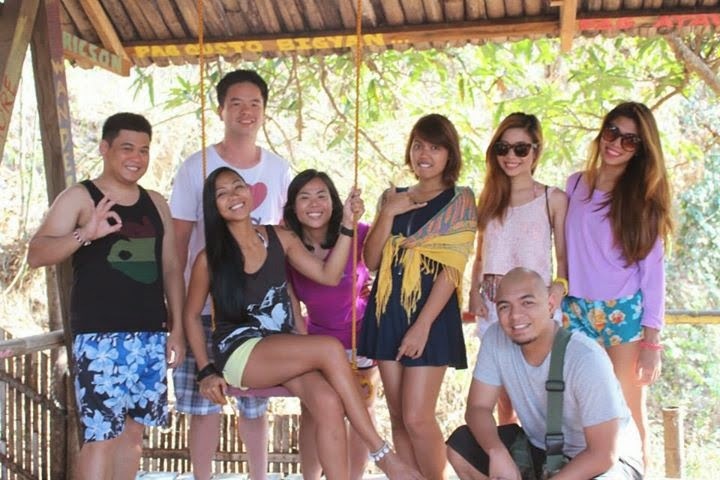 I managed to assemble a star studded cast of bloggers from different niches in this epic getaway to The Circle Hostel, La Union. It was actually my first time to backpack and it was an awesome experience. We left McDonalds, Katipunan around 10 PM Friday as Circle Hostel's social media manager Rafael Oca picked us up and arrived around 3:30 AM Saturday. It was a long trip but I have to applaud Rafa's excellent choice of music that got me awake as it included Backstreet Boys, Linkin Park and Justin Bieber(!). You can bring your own padlocks so you can use their lockers to keep your stuff. 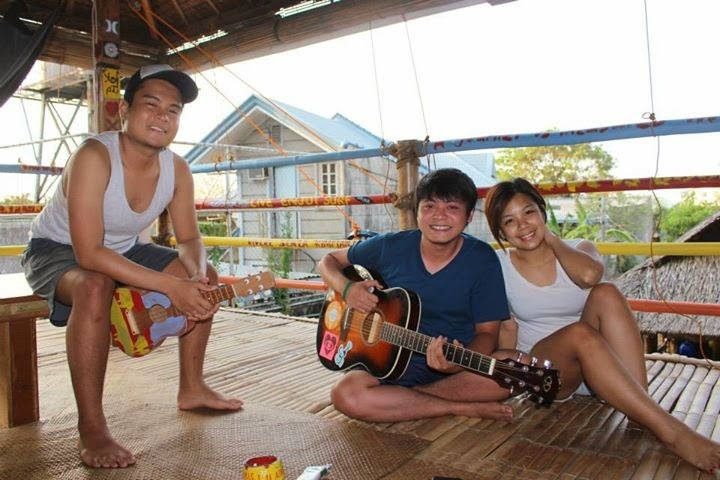 When staying here, you can opt for the bunk bed for P400 only per night. It comes with a built in mosquito net and privacy curtains. Another option is their awesome hammocks at only P300 per night. 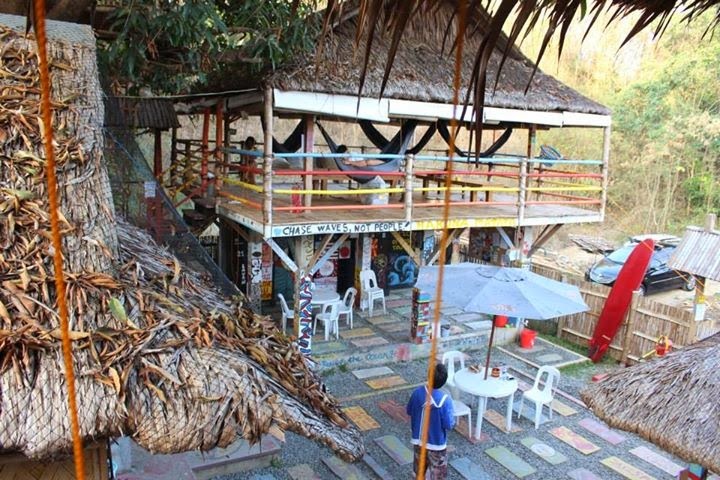 If you don't want to spend the night here then a day trip would cost you P150. All rates are inclusive of hot/cold showers, clean toilets and complimentary breakfast for the overnight ones. 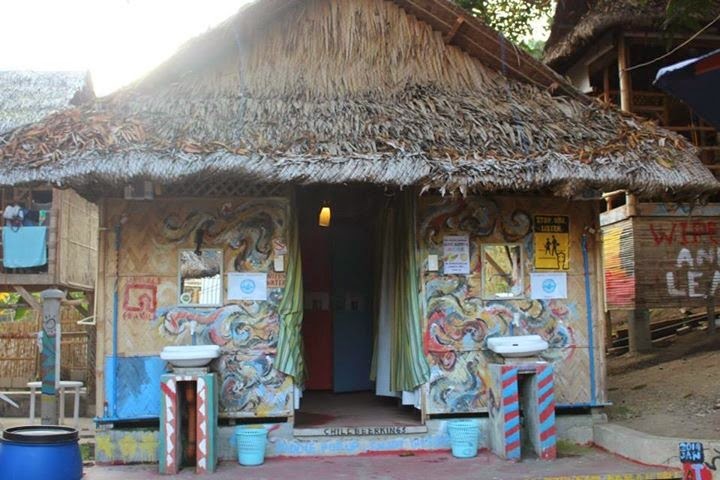 You can bring your own towels or rent from the front desk at only P40. They also have a first aid kit in case of any injuries to the guests. 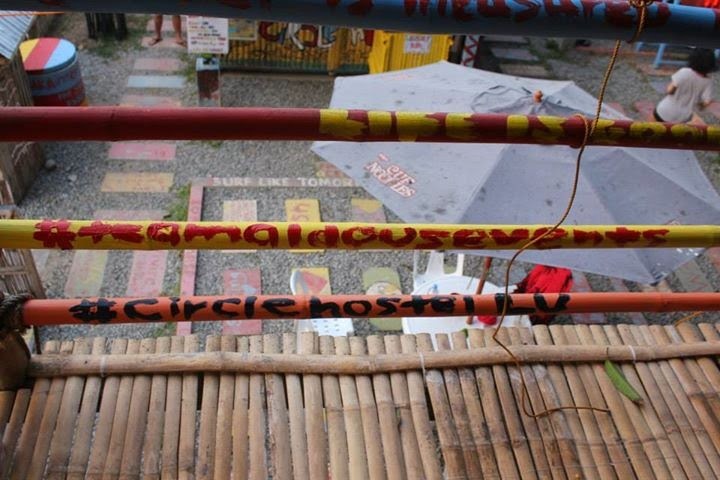 This is the tambayan of the hostel where guests can just chill while enjoying the high speed Internet. There is also a basket that is connected from there to the front desk so when someone wants beer or anything else, it can be put in the basket. That's really creative! I actually fell asleep here last Saturday night then woke up chilling around 3:30 AM. It was a cool experience no pun intended. 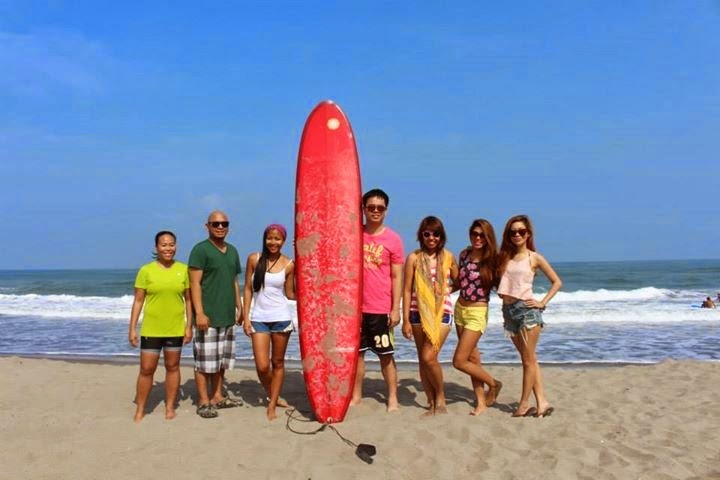 When we got to the beach, all of us went to surf. It was great seeing everyone enjoy surfing as most of them did it for the first time. 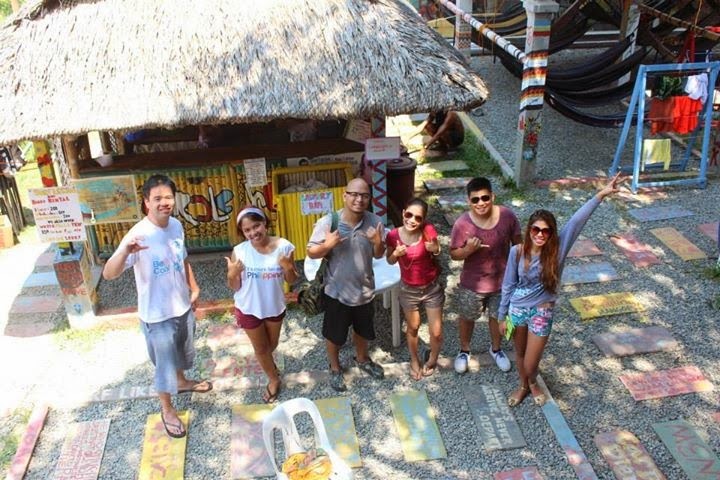 We all paid P200 per hour for the instructor. When me and my instructor reached the climax of our lesson, he told me..
"We need a bigger board"
The sand was so hot that it would be a big mistake to leave behind your slippers. There is nothing like chilling at the beach as it is a very relaxing experience. We had an afternoon tea over at Moonleaf which was franchised by A. Magsaysay. 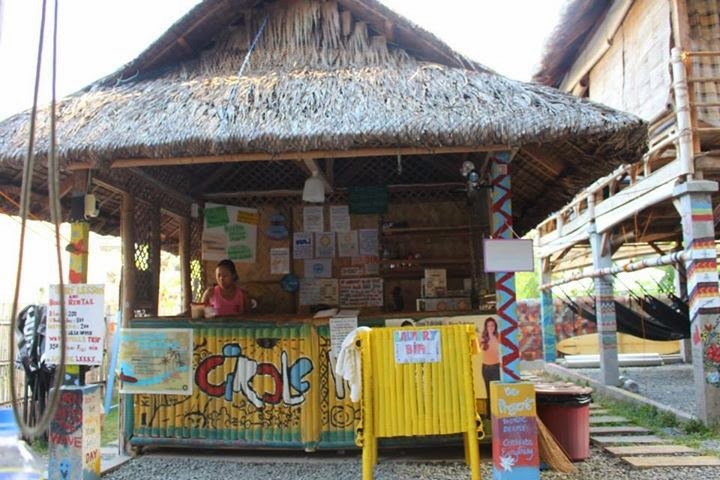 The milk tea shop is barely a month old and it has already attracted travelers and locals to buy milk tea while chilling at the beach. It is perfect for the hot weather. 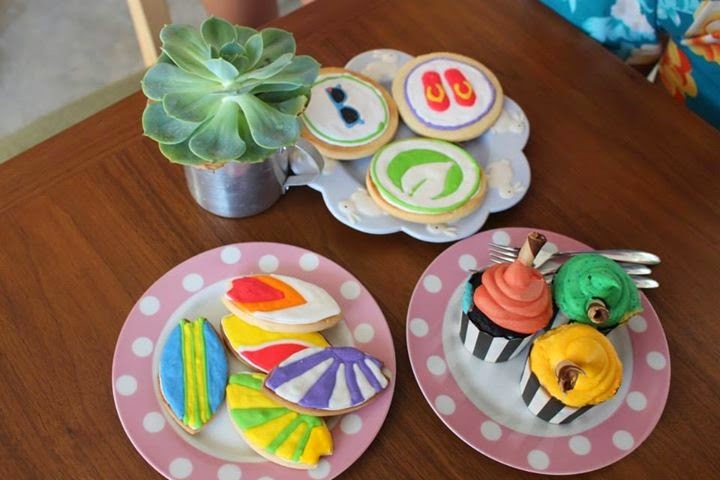 We were also treated to wonderful cookies and cupcakes. The owner explained to us that they also let the locals sell their handmade crafts there for no extra charge. 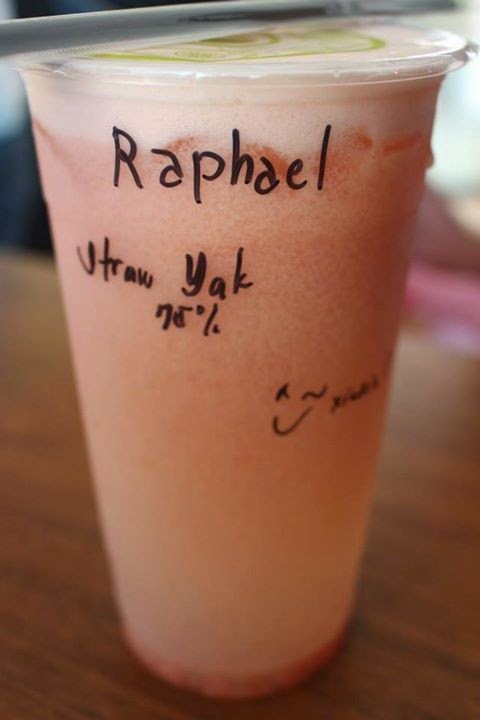 I'm not ashamed to admit that I really like the milk tea at Moonleaf. 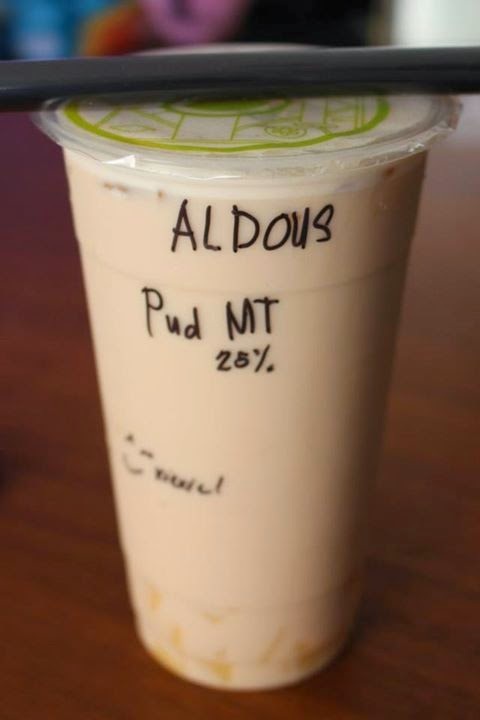 It did not take long for us to finish our milk tea and the place also has high speed Internet. The interiors was also beautifully designed. We ate at numerous restaurants during our stay including the highly recommended Gefseis Greek Grill. It was too bad I forgot to bring my camera when we ate there though. However, this liempo from Arby's is worth coming back for. It is only 210 pesos and it had enough for 6 people. I really lived their tag line as I met a bunch of cool new people at the hostel. It was great to meet people from all walks of life who all have one common interest and that is to travel. Both girls are Canadians. Cassandra told us that she found out Filipinos are friendly and funny. I had a nice joke too when she joined us for dinner and asked me if I wanted some of her vegetables. I told her "Yeah, I was just waiting for you to ask me. What took you so long?" That got a good laugh out of everyone. 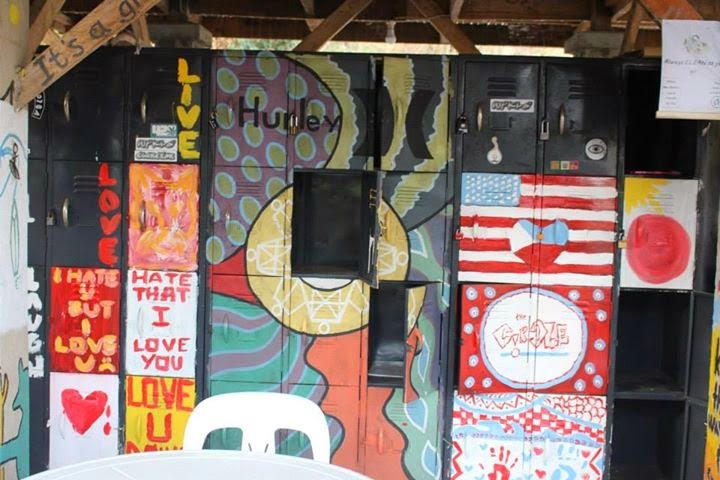 There is painting equipment at the hostel for guests to bring out their inner artistic selves. The trip was a big success and everyone had a lot of fun. I have to really thank Raf Dionisio for having us and for Raf Oca for taking us from Manila to La Union last Friday then back to Manila on Sunday. There were a lot of cool memories during the road trip too since each trip was for about 6 hours. In fact, there was one time where we asked directions to a group of traffic enforcers heading back to Manila. In a hilarious turn of events, one of them pointed to the right while the other pointed to the left. Umm, where do we REALLY go? In another unforgettable moment, Rafa accidentally hit a bird while speeding in the highway then said "I just hit a bird. Second time in my life". After that, I started to sing Parokya ni Edgar's "Don't touch my Birdie". 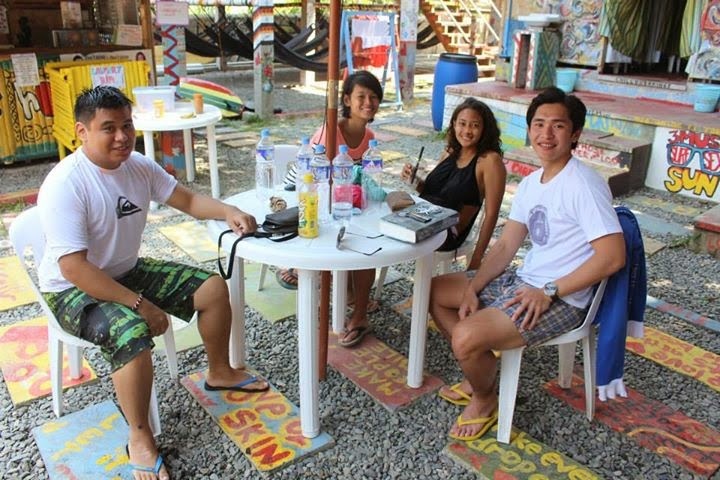 Looking for a place to stay at San Juan, La Union that is both nice and affordable? Book now at the Circle Hostel. 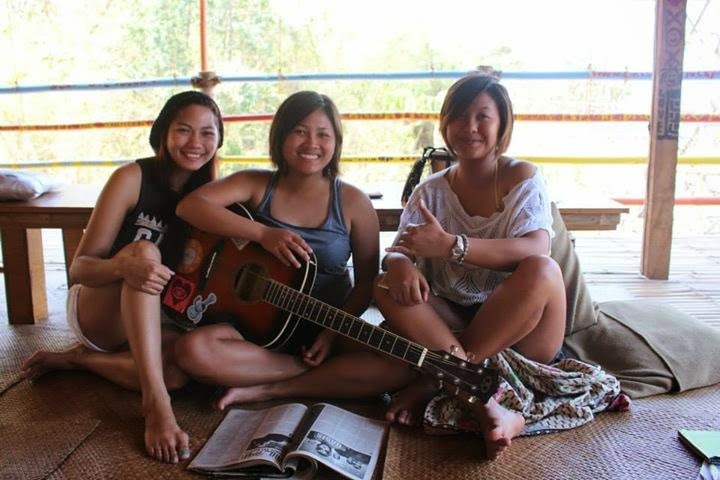 How to get to Circle Hostel, La Union? Upon exit make a left. Follow the highway through the towns of Gerona, Paniqui, Moncada, Carmen, and Villasis. When you get to Urdaneta City, pass the city market on your left then a Petron gas station on your right. Turn left on the next intersection (Urdaneta-Manaoag road). Follow that highway through Manaoag, San Jacinto until you get to San Fabian. Follow that highway through Santo Tomas, Agoo, Caba, Bauang, and San Fernando. Keep following that highway until you get to the town of San, Juan. When you see the San Juan Surf Resort on your left you will see the Urbiztondo Grill on your right, directly after will be an access road on the right leading to The Circle. Ask the driver to let you down at San Juan Surf Resort, San Fernando, La Union. When you see the San Juan Surf Resort on your left you will see the Urbiztondo Grill on your right, directly after will be an access road on the right leading to The Circle. Award winning Chef Carlo Miguel having a hand in each dish? 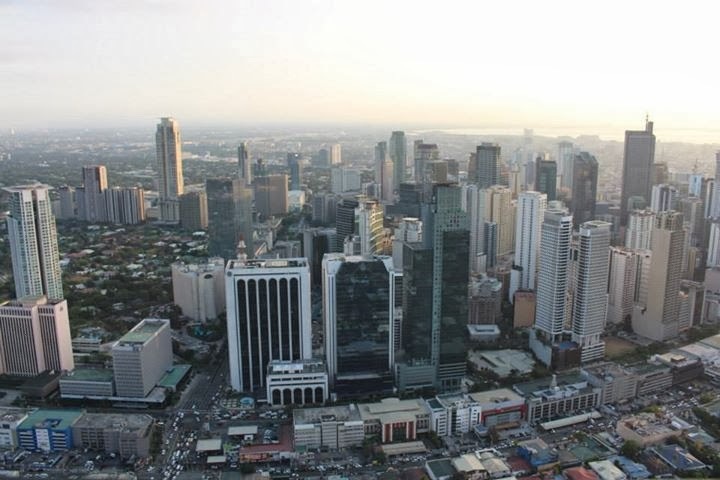 A fantastic view of Metro Manila from the 71st floor of the Gramercy? The chance to party with classy people every night? 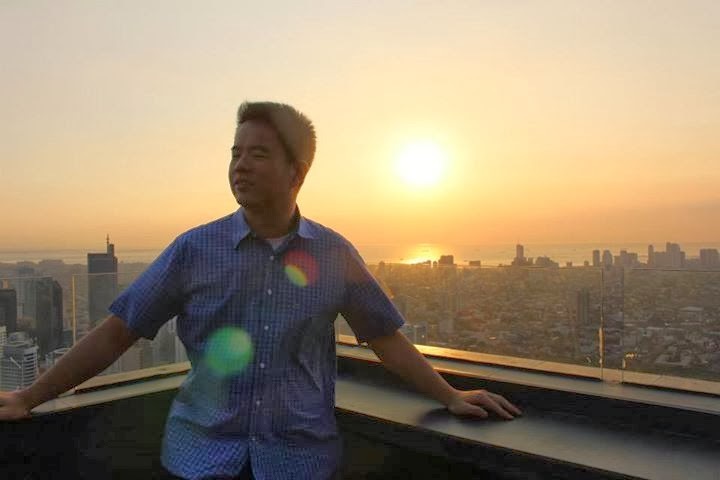 71 Gramercy is like a dream come true. I was not surprised one bit when Chef Carlo Miguel revealed to us that there was like 900 people coming in every weeknights. The view is simply breathtaking. It made me want to live in the Gramercy but I don't know if I can afford it. I actually saw some places that I have never been to. I arrived a couple of hours early just to make sure I catch the sunset. 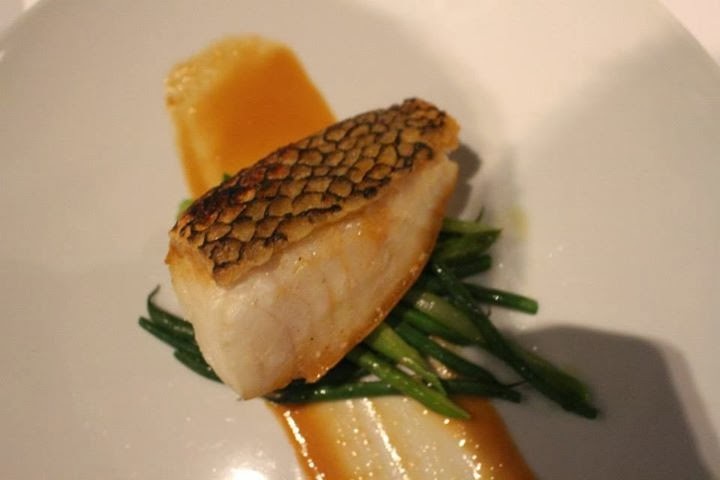 I have to thank the owners of 71 Gramercy for giving us the opportunity to experience such a wonderful dining experience. Chef Carlo Miguel was shocked at how I was able to take a bunch of selfies with my DSLR as he said it was his first time to see someone do something like that. For this occasion, I decided to take as much selfies as possible and it was worth it. It was the best event I have ever organized and/or attended. Like all courses do, it starts off with soup. 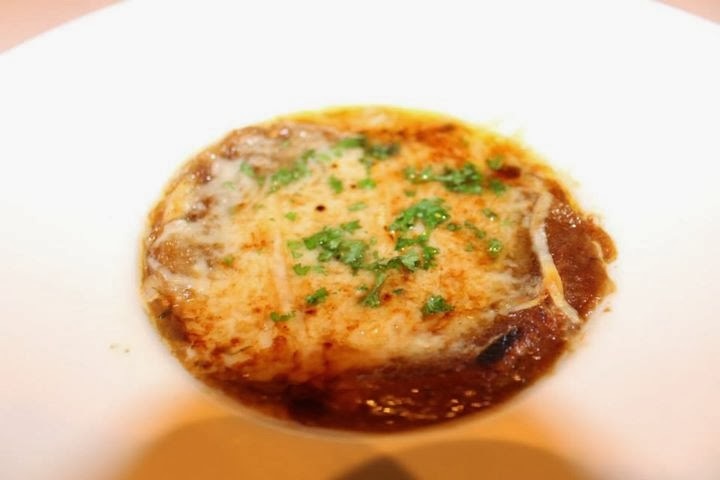 Their french onion soup is topped with Gruyere cheese and sourdough. It was a great way to start off the evening. Chef Carlo Miguel warned us that he likes to overfeed people at blogger events so I decided to not eat that much appetizers. 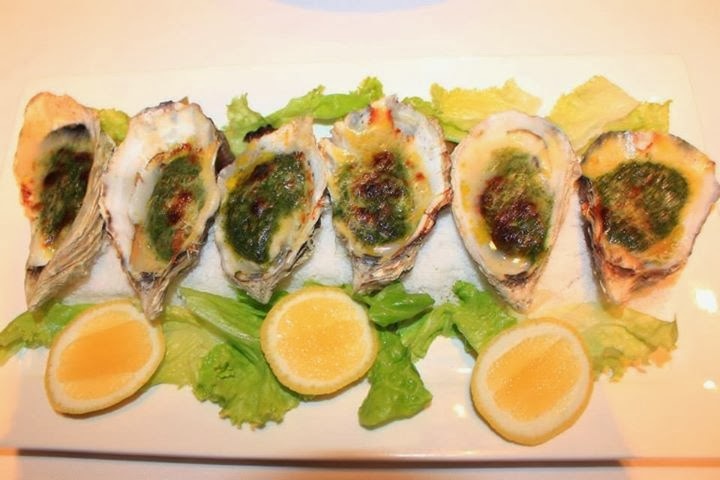 There were a lot of appetizers though and the oysters rockefeller are good. It was baked with garlic, spinach, butter and parsley. I really regret not being able to taste the 62 degrees Egg as it had egg that was slow cooked for 3 hours to go along with grilled asparagus, crisp prosciutto sourdough and parmesan. The other bloggers thought it stole the show though. 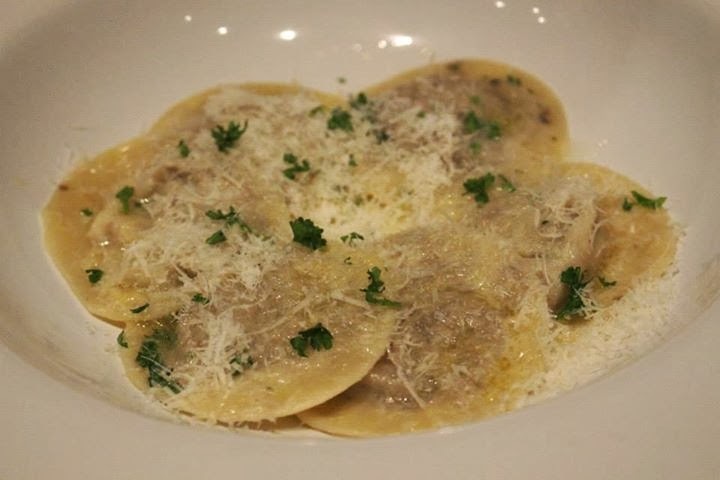 The Mushroom Ravioli had the makings of a tasty pasta dish. I could not stop getting one bite after the other after I had a bite. It was that irresistible. 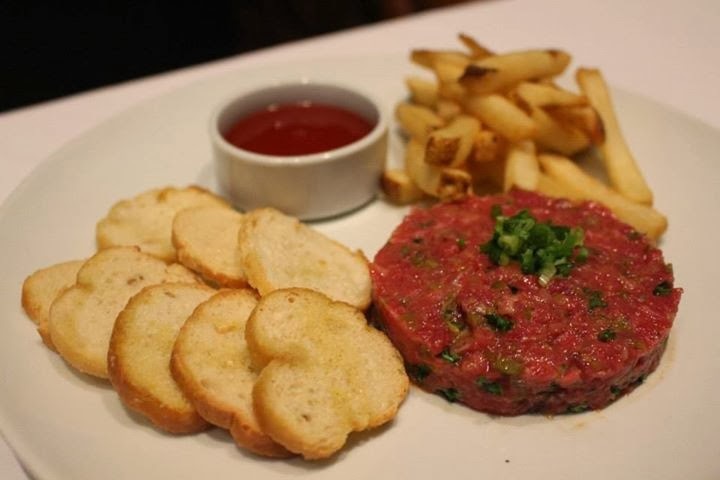 It was my first time eating raw beef as this was hand chopped US Angus beef tartare with frites and crostini. I would personally recommend it to those who want to try something new for a change. 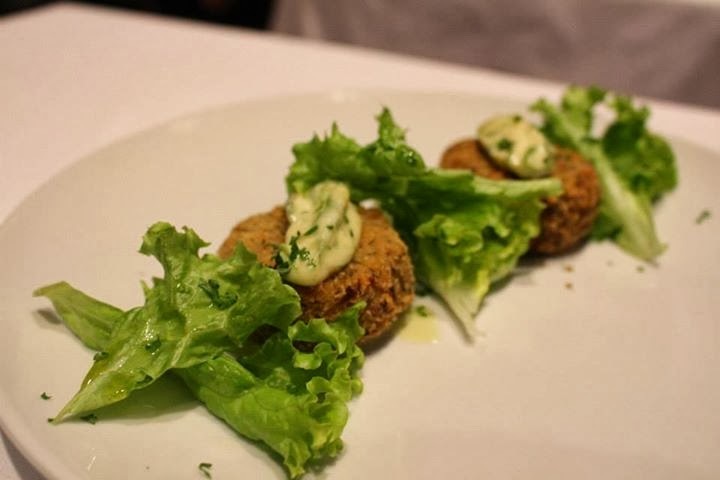 I was not a fan of crab cakes so I was not able to get a bit out of these two jumbo lump crab cakes that came with remoulade. I really regret not being able to taste them as the other bloggers told me they were quite good. Before the dinner began, the chef asked us if we had any requests and it did not take long for me to request the duck sisig. I sure made the right call as this dish was heavenly. 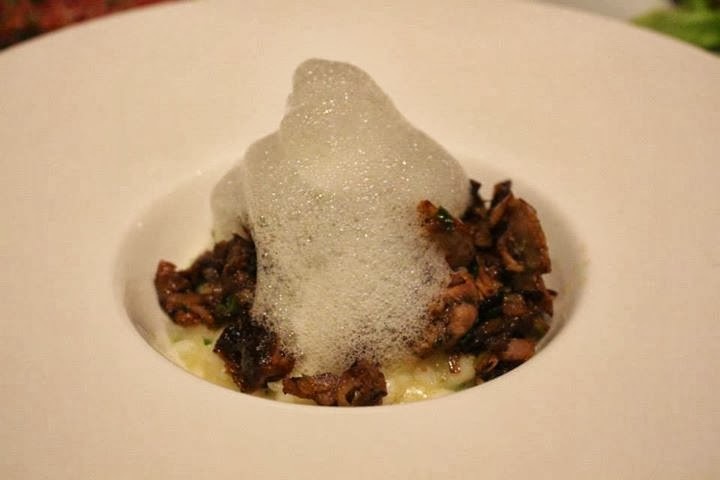 It was French duck leg and foie gras sisig on roast garlic risotto and topped with calamansi foam. I actually joked that the duck sisig was still taking a bath but we can tell that this dish was really photogenic and like all of Chef Carlo's dishes, it tasted better than it looked. I have never tasted pork belly that was as tender as this. 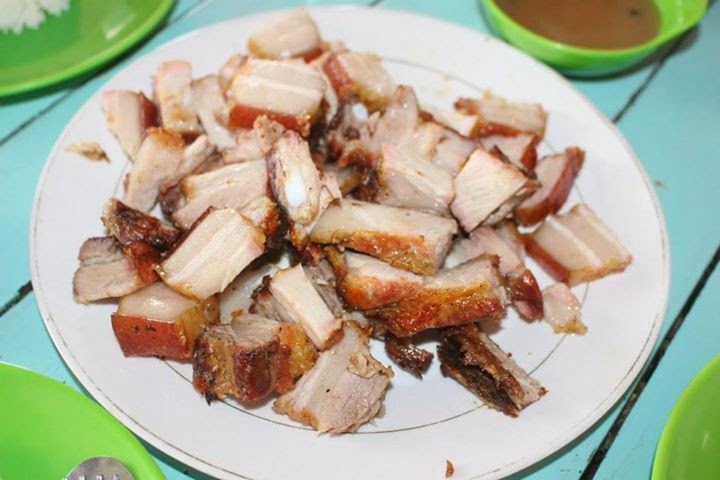 Vegetarians will forget about the commitment of not eating pork once they get one bite out of it. It also comes with mashed potato French beans and roasted apples. I am not a big fan of seafood but this melt in your mouth fish was just too impossible to resist. It is also tender and buttery and I recommend it to everyone even those who don't like seafood like me because your opinion will change when you taste this one. This dish was the highlight of the night. 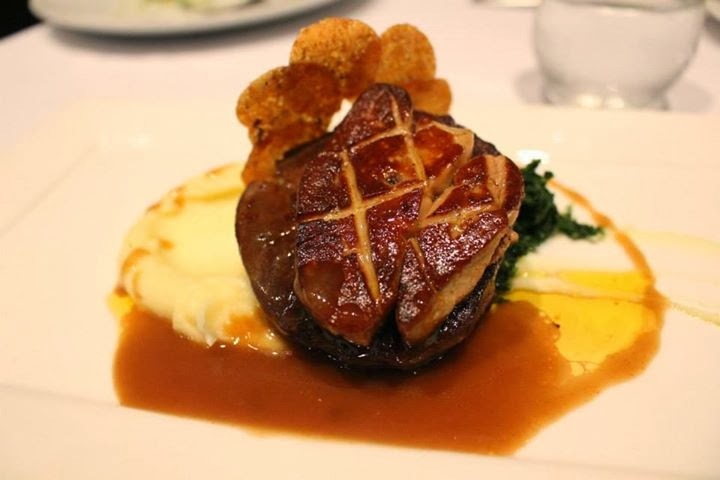 It is roast prime US angus beef tenderloin and the ever popular sauteed foie gras with potato spinach and truffled jus. 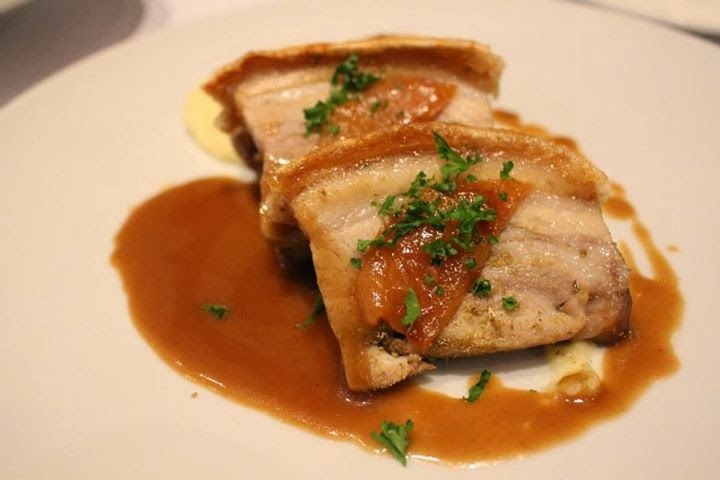 This dish got its name when Chef Auguste Escoffier created a French steak dish for composer Gioachino Rossini. I wonder if that composer composed the song "Sent from Heaven" because that perfectly describes this dish. 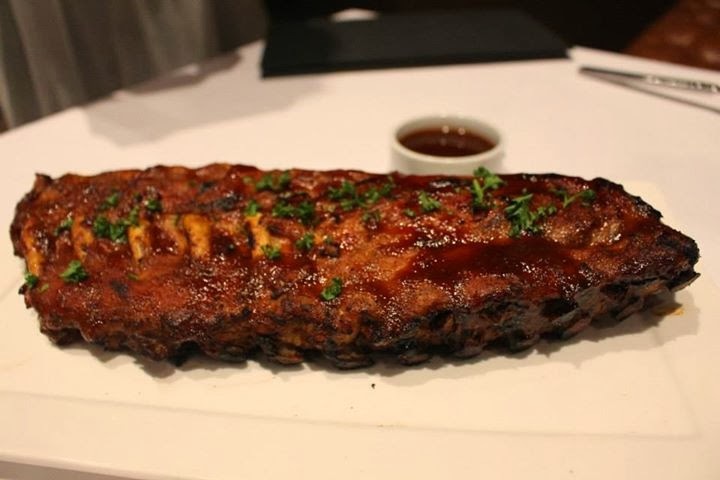 I love baby back ribs and their version was the by far the best I have ever tasted. It was too bad that most of my companions were full by this time so too bad for them and great for me as I barely ate appetizers to save my appetite for the main course. It was dry-rubbed and slow-cooked in their smoke box glazed with a choice of bourbon BBQ sauce or honey chipotle. 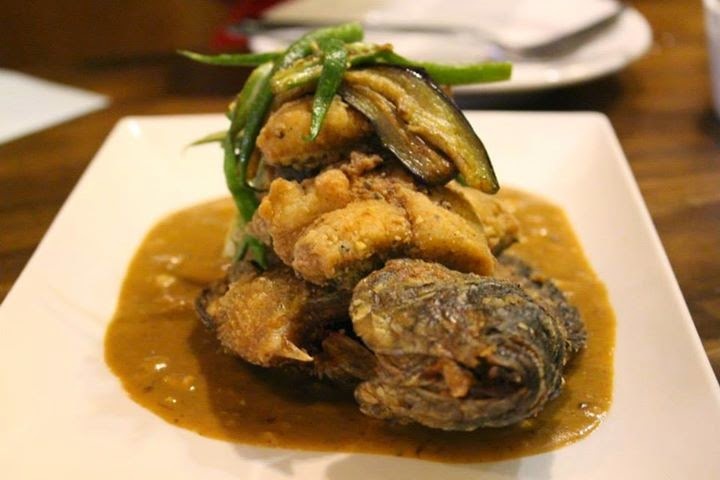 Whatever you choose, you will still end up with a smile on your face as this dish is a winner. The side dish of the baby back ribs was the fully loaded baked potato with sour cream, aged cheddar and smoked bacon. 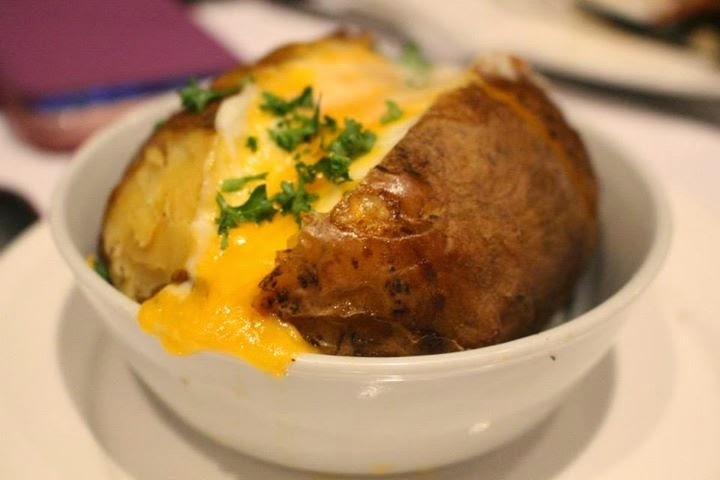 I am a sucker for baked potatoes and I simply fell in love with this one. That is one thing I won't be ashamed to admit. Wow, talk about saving the best for last. The dessert dishes were all worth coming back for. 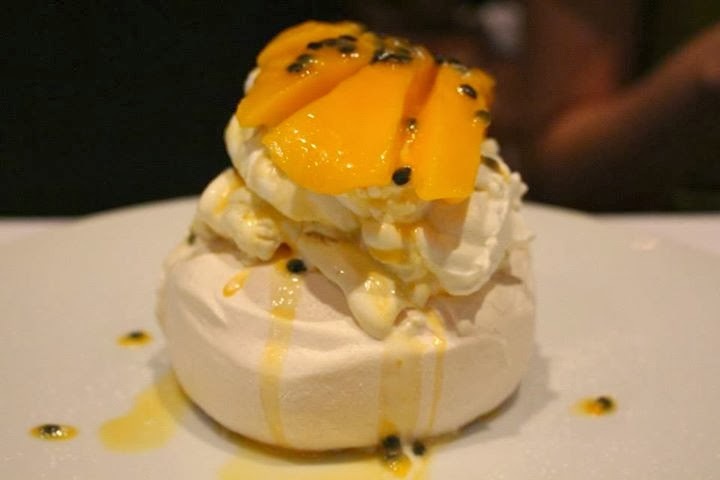 It started with the Pavlova which is mango and passion fruit pavlova. It definitely had that foamy feeling and it did not take long before this one ran out as I was in the company of fellow dessert lovers and they knew this is a keeper. 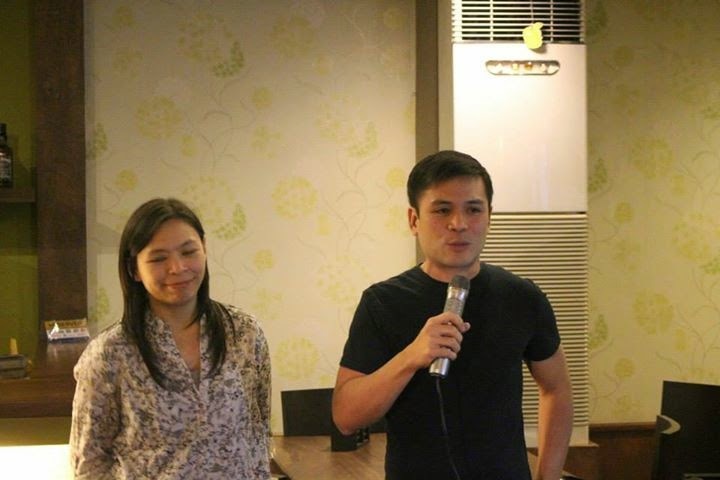 One of the bloggers asked Chef Carlo Miguel which establishment he thinks has got the best cheesecake in the country. It did not take long for him to answer that he thought it was this restaurant. 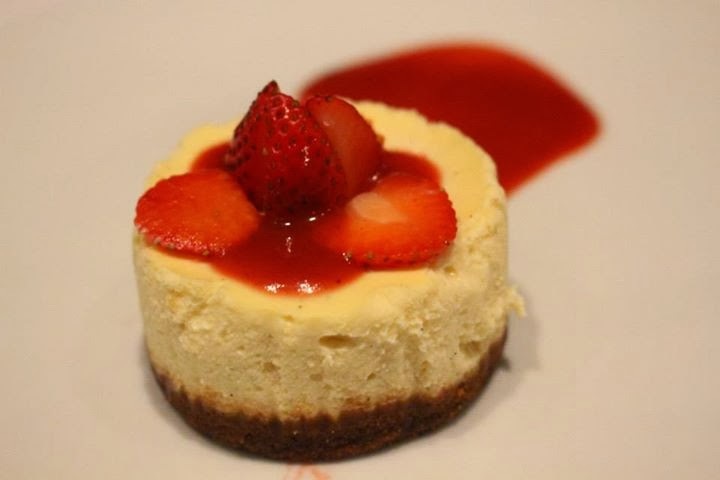 We admired his confidence but when we got taste the New York style cheesecake with vanilla bean and strawberry sauce, he quickly made us a believer. My jaw dropped when this was put in front of us. Not only was the Banana Tartetatin photogenic, but it also tasted so good. 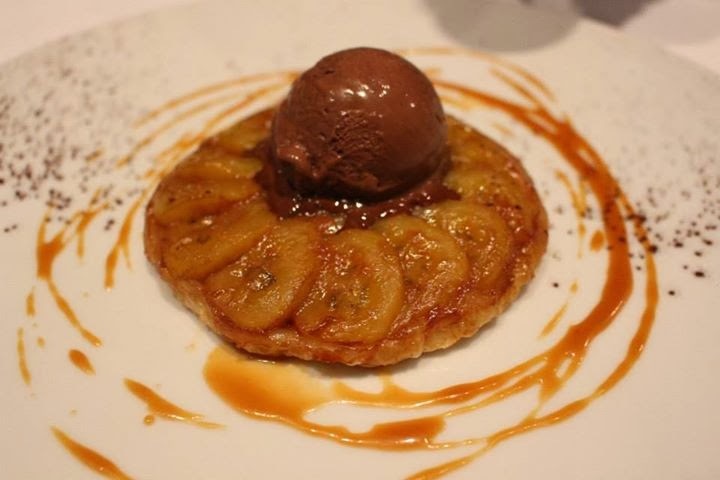 It is caramelized banana tart with dark chocolate ice cream and it also got everyone craving for more. Wow, talk about saving the best for last. 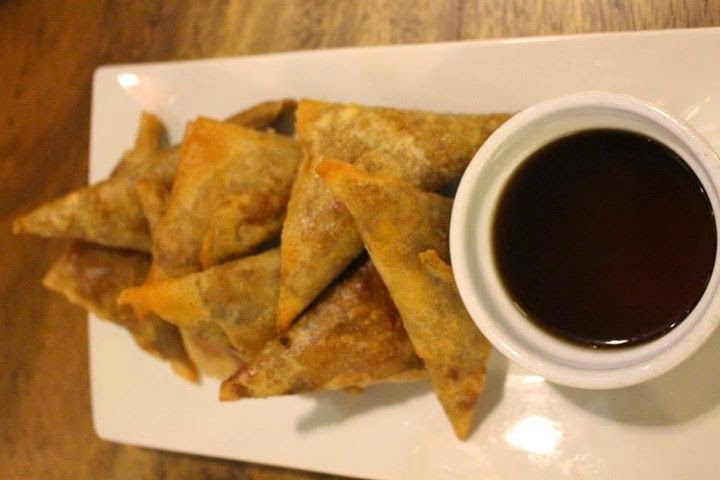 We almost did not have this sweet dish before Chef Carlo went to the kitchen and it appeared in front of our eyes. It should be noted that everyone was saying "Wow" after every dish got presented in front of us. 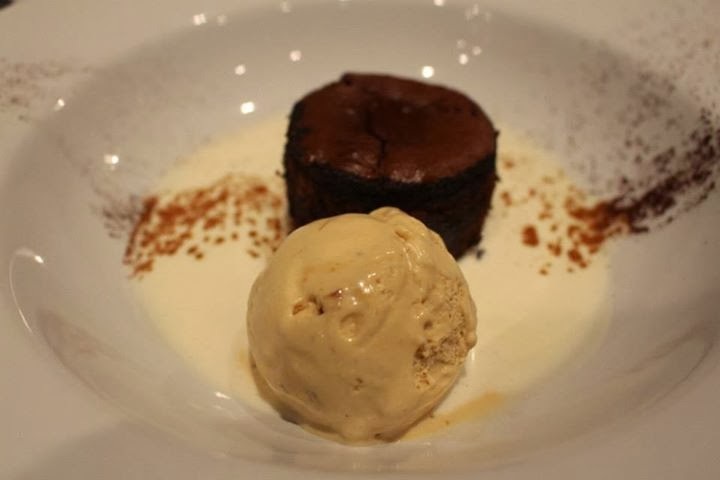 The chocolate fondant consists of dark chocolate fondant with vanilla sauce and hazelnut ice cream. 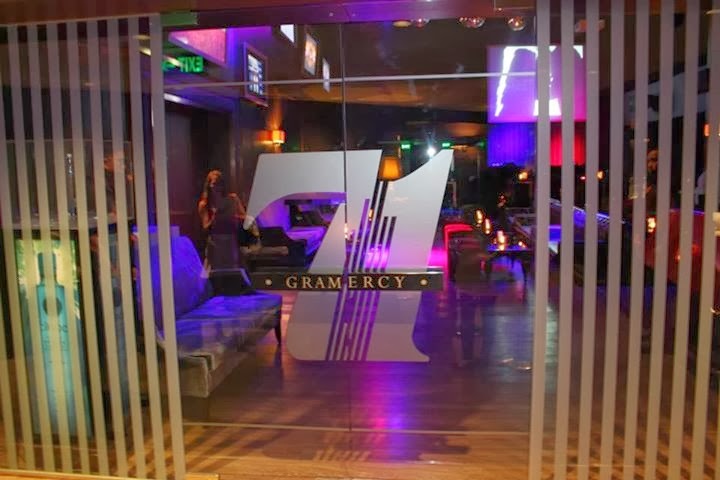 Any way you look at it, there is nothing like 71 Gramercy. Everything simply speaks of first class and we just found the city's newest fine dining experience. It was no surprise how numerous celebrities decided to celebrate their birthday here including Anne Curtis. 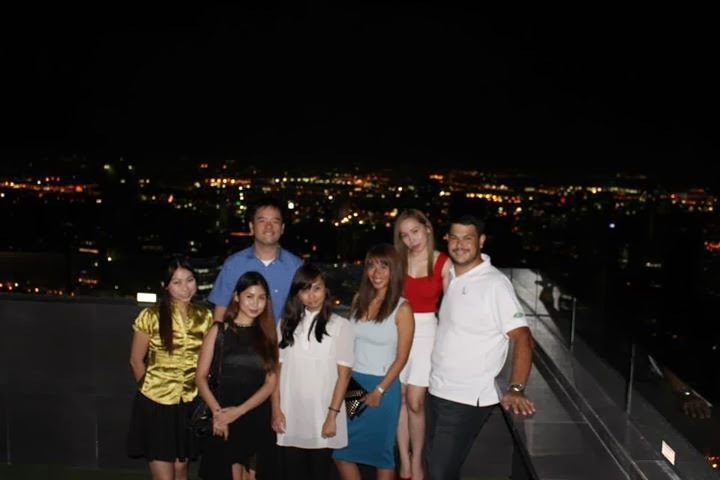 I have to admit that 71 Gramercy made us all feel like celebrities on this night.